Two of today’s leading creators of game-changing movie realms, James Cameron (Avatar) and Robert Rodriguez (Sin City), have combined their mutual zeal for world-building and empowered female heroines to push the possibilities of visual story-craft into a new zone with Alita: Battle Angel, an epic adventure of hope and empowerment, based upon the Manga graphic novel series by Yukito Kishiro. 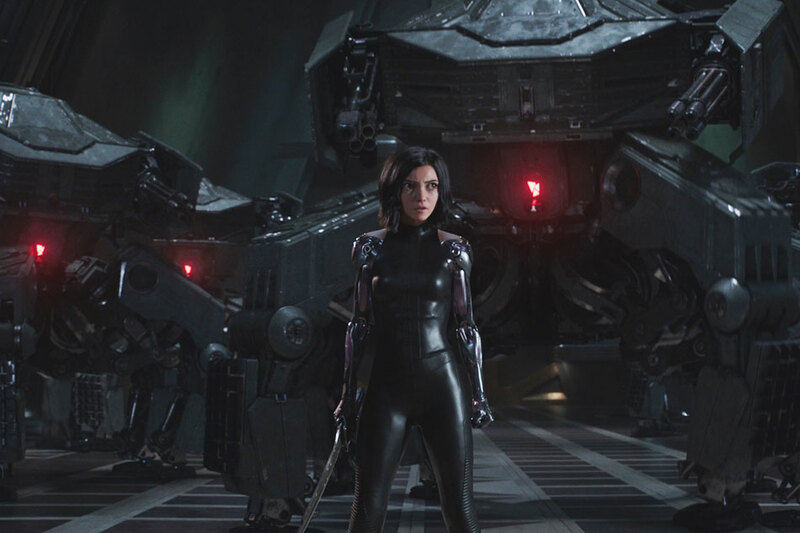 They now invite audiences to enter directly into an intricately alive metropolis of the future—and into the high-octane yet heartfelt mission of Alita to fulfill her human potential—forged through an alchemical mix of evocative performances, creative design, state-of-the-art performance-capture technology, CG imagery, VFX and native 3D filmmaking. Based on the graphic novel series by Yukito Kishiro, Alita: Battle Angel re-imagines a mythical post-apocalyptical world as a photo-real city full not only of behemoth cyborgs, furiously fast sports spectacles and dark justice but also of compelling human stories. In the 23rd Century, Earth underwent “the Fall,” a shattering war that halted all technological progress and left in its wake a society where every last shred of tech is repurposed and the strong prey on the weak. 300 years later, the heart of life on Earth beats in Iron City, a rich melting pot of survivors–a city full of ordinary people and cybernetically-enhanced humans living side-by-side in the shadow of Zalem, the last of the great Sky cities. Iron City may be an oppressed factory town, cranking out goods for the invisible elites who live in the sky, but it has its own color and energy, its thrills and its aspirants. And now it is about to get an unlikely hero, a teenage cyborg who emerges from a junkyard to discover her identity and become a source of buoyant hope. Plunging the audience full-bore into Alita’s deeply felt experiences of beauty and chaos after being reborn in Ido’s clinic was always central to Cameron’s vision of the film. That idea continued to be a lodestar as Rodriguez took the reins to realize Cameron’s vision with his own irrepressible energy and a crack team drawn from both their companies—as well as from the award-winning Weta Digital, which takes the performance-capture technology they pioneered on Avatar to new heights here. 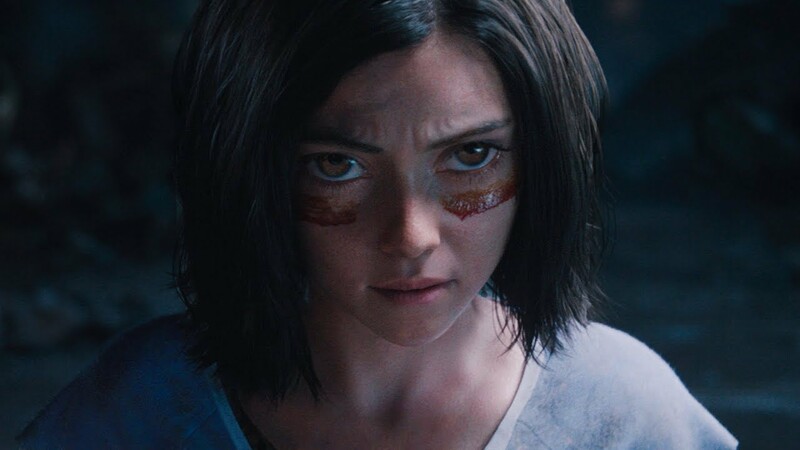 Rodriguez notes that what you see on the screen in Alita: Battle Angel is a result of many combined imaginations synching up, but most of all it is meant to be Alita’s vision of Iron City. James Cameron first fell under the spell of the mysterious Alita almost two decades ago, long before he directed the barrier-shattering 2009 3D science fiction-adventure blockbuster Avatar, which has set the bar for cinematic world-building ever since. In the late 90s, fellow filmmaker and global cinema connoisseur Guillermo Del Toro recommended to Cameron a short anime film based on the nine-volume, cyberpunk Manga series Gunnm by Yukito Kishiro. Del Toro suspected it was right up Cameron’s alley. Cameron felt the intricacy of Iron City, this fallen technopolis, could be the ultimate sandbox in which to play with cinematic ideas he’d long hoped to explore, blending the bleeding edge of digital tools with the art of epic, human storytelling. He began a script, fusing story elements from the first four Alita books, and bringing in co-writer Laeta Kalogridis (Shutter Island). In addition to the script, Cameron drafted 600 pages of wide-ranging notes on each of the characters and the life and even the physics of Iron City. He began working with a team of conceptual artists to produce early sketches that became legendary for their photo-real designs that would surely test the limits of computer-enhanced imagery. Life in Iron City also intrigued Cameron—this world in which cybernetic body parts are routinely melded with human bodies and brains to create cyborgs of all shapes, sizes and abilities. (Cyborgs are not robots; they’re humans enhanced by biotechnological components built into the body.) Today, the cutting edge of medical prosthetics research is pioneering new ways for the human brain to both directly control and sense artificial limbs. But what if the fusion of mind and machine was to make such a quantum leap that it could grant humans the promise not just of restoration but of total reinvention? Even when a cyborg’s body has been damaged beyond repair, the human brain can live on and be connected to a new body, which is why Dr. Ido is able to save Alita. But the fact that Alita has no clue who she is, where she comes from, or what her life story is, sparked Cameron’s imagination further. Ardent fans couldn’t wait for Cameron to tackle the Manga. But by the mid-2000s Cameron stood at a fateful crossroads: forced to choose between his two creations, to go all-in on either Alita or Avatar. It goes without saying that he took the path of Avatar, sensing the technology was ready to be pushed where he needed it to go. But the exponential leap that followed would also make Alita possible. Cameron never stopped dreaming about giving life to Alita. Yet the worldwide hunger for Avatar sequels kept him expanding that universe and he saw no clear space for Alita on the horizon. 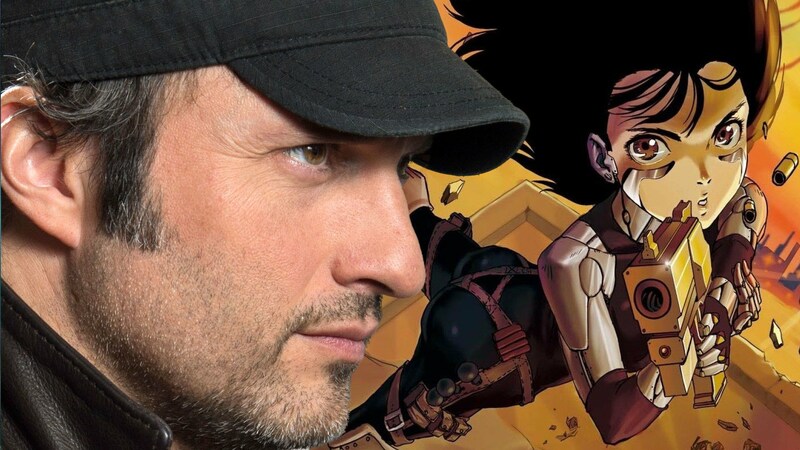 It wasn’t until one day when he was talking with his good friend Robert Rodriguez that it came to him that he would feel comfortable passing Alita on into the right hands—into say, Rodriguez’s hands. Cameron and Rodriguez often had stimulating conversations about cinematic techniques, but now Cameron had the idea of going further, of inviting his friend to be creative partner on this project he held so closely. While Cameron is renown for some of cinema’s most sweeping epics, from Terminator to Titanic to Avatar, Rodriguez cut his teeth in the indie world by making madly inventive, hyper-vivid action thrillers on lean-and-mean budgets, often writing, directing and shooting them himself. After gaining acclaim with the micro-budget El Mariachi at age 23, he continued cultivating his creative freedom and high-energy style on such hits as Desperado, Once Upon a Time in Mexico, Sin City, Machete and Planet Terror, as well as becoming an early 3D innovator with the Spy Kids series of family films. There was little doubt that he had the kind of extreme commitment to vision required but Alita: Battle Angel would take Rodriguez into a whole new scale of production. It would also take him to his very favorite place: way outside even his wide-open comfort zone. A long-time fan of the Kishiro books, Rodriguez says he was hankering for Cameron to make the movies. “I’d been dreaming about it and waiting for it,” he muses. Yet, when Cameron asked him to step into those shoes and realize the dream on his behalf, it was irresistable. Rodriguez loved how the initial script took the world Kishiro created and, while staying true to the spirit of it, translated it into a Cameronesque tale of love and adventure. “I identified with Alita. I identified with Hugo. I identified with all the characters—and that’s what Jim does amazingly well,” he says. Every frame of art Rodriguez saw, from the sun-washed, color-splashed streets of Iron City to the cyborgs whose machine bodies were infused with human qualities of charm, humor and hubris, spoke to him. The chance to play with all the tech Cameron, Lightstorm and Weta had invented for Avatar—the facial performance capture system, the Simulcam system for superimposing digital characters onto actors in real-time, the 3D Fusion Camera system and more—was also a strong magnet for Rodriguez. Throughout the process, Rodriguez says, he was hoping to channel a whole lot of Cameron. “I tried to ground the story in reality the way he does. I tried to honor his style because that’s what I always wanted: to see Jim Cameron’s Alita.” As the project got underway, a constant flow of ideas and knowledge passed back-and-forth between the two men, as each compelled the other to up the creative ante. Life imitated art and vice versa as this movie about human-machine interfaces incited hundreds of artists to head for the edges where live action and digital filmmaking fuse into one aesthetic.